Programmable thermostats can save you money on your utility bills by reducing your home heating and cooling costs. Programmable thermostats allow you to customize a schedule based on your comfort and needs. Why heat or cool your home when you’re not even in it? Programmable thermostats control your heating and cooling so that you don’t have to worry about it. Did you know that EPA says a lifestyle programmable thermostat could save as much as 5 to 10% on your utility bill? We offer digital, non-programmable units for better visibility and digital programmable 7-day and 5/2 day models, with features such as: up to 4 temperature settings per day, auto change-over of cool & heat modes, vacation scheduling, keypad lockout, indiglo back lighting, and outside air temperature monitoring. If you’d like to save money on your utility bills, using a programmable thermostat for your A/C unit is a must! 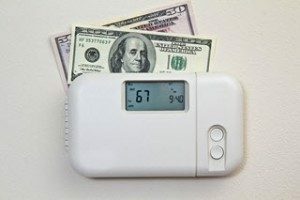 These types of thermostats can save you as much as 33 percent on heating costs, and up to 25 percent on cooling – they’re also easy to operate, and their settings can be programmed in accordance with your specific lifestyle and comfort. 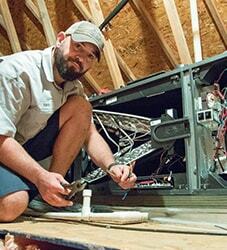 Here at Robert B. Payne, Inc, we’re passionate about providing you with high-quality, professional assistance, with all your A/C and thermostat needs! Contact us today to find out more about installing a programmable thermostat for your A/C unit – we’re always happy to offer our assistance. Digital thermostats are energy efficient, easily programmable, and can even save you money on your utility bills – with digital thermostats, you’re able to adjust the temperature of your home according to different settings that take effect at different points throughout the day. Talk about convenient! Are you considering a digital thermostat for your central heating system? Robert B. Payne, Inc is proud to offer knowledgeable assistance and professional services that you can count on! Contact us today – our team of HVAC experts can provide you with a customized plan for your central heating unit, and answer any questions you may have. Is your thermostat reading the wrong temperature? Don’t worry – this happens. There are a few common issues that tend to plague thermostats, one of which is likely the reason your device is malfunctioning. Some of these issues include: your thermostat not being level, or a potentially faulty sensor; of course, there’s also the possibility that your device may just be getting old. All these issues could contribute to a thermostat reading differently than a thermometer. 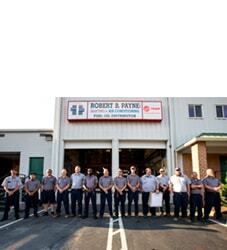 Regardless of why your thermostat is malfunctioning, here at Robert B. Payne, Inc, we’re here to help! Contact us today for all your thermostat maintenance needs. Regardless of the specific type or brand of thermostat you have, programmable thermostats are controlled by a small digital touch screen – this is where you’re able to change temperature settings, and view the current temperature. Here at Robert B. Payne, Inc, we’re here to provide you with the best products and services when it comes to your heating & air conditioning. Our team of skilled, professional technicians can help answer your questions, provide you with an accurate cost estimate, and schedule your first appointment with us. Contact us today to find out more about our superior services! What’s the difference between a smart and programmable thermostat? When it comes to understanding the difference between a smart and programmable thermostat, there are just a few important components to consider. First, a programmable thermostat has the capability to let you adjust your A/C with near-perfect accuracy – with this type of thermostat, you essentially have the tools to adjust the temperature throughout your home, as you see fit. A smart thermostat, on the other hand, is an intuitive thermostat model that allows you to control your home’s temperature by using Wi-Fi. Smart thermostats also let you track and monitor your total energy consumption – nifty! Are you trying to decide between a smart or programmable thermostat? 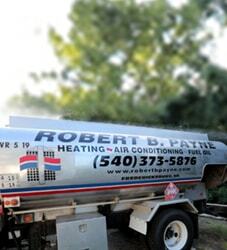 Contact the HVAC experts at Robert B. Payne, Inc – we’re always happy to offer our assistance. Call us today at (540) 373-5876 and we can answer all your thermostat questions.